At the beginning of last year, 2018 was touted as the ‘Year of Engineering’ due to a significant shortage of skilled workers within the sector. The idea behind this initiative was to get young people excited about working within the engineering sector to help bridge the gap between the number of skilled workers we will need in the coming years, and the amount we actually have coming through. In this article, we will take a look at what was actually done throughout 2018 to address these concerns and determine if progress has been made as we enter a new year. The basic premise behind the ‘Year of Engineering’ campaign was to ensure that people of all ages, ethnicities and backgrounds were presented with a snapshot of what they could achieve in the engineering industry. The campaign, which was led by Nusrat Ghani MP, a parliamentary under-secretary of state at the Department for Transport, gained significant traction throughout the year and appears to have inspired the younger generation, as well as ethnic minorities. Throughout the year, a heavy emphasis was placed on ensuring the government worked hand in hand with professional institutions and the wider engineering industry. By forging a genuine relationship with each of these key areas, the hope was that real change could be made within the sector, which appears to be the case as we enter 2019. Throughout the last twelve months, the campaign worked with over 1400 partners, as they delivered more than 1 million hands-on experiences in engineering to children. Research suggests that in the first six months of the campaign the total number of 7 to 11-year-olds who were considering a career in engineering rose by a staggering 36%. In that same age range, the number of girls who were interested in working in the industry increased by 56%. To engage young people, the campaign worked alongside high-profile footballers, dancers, YouTubers and bloggers to help inspire both parents and their children about the advantages that working in engineering can bring. 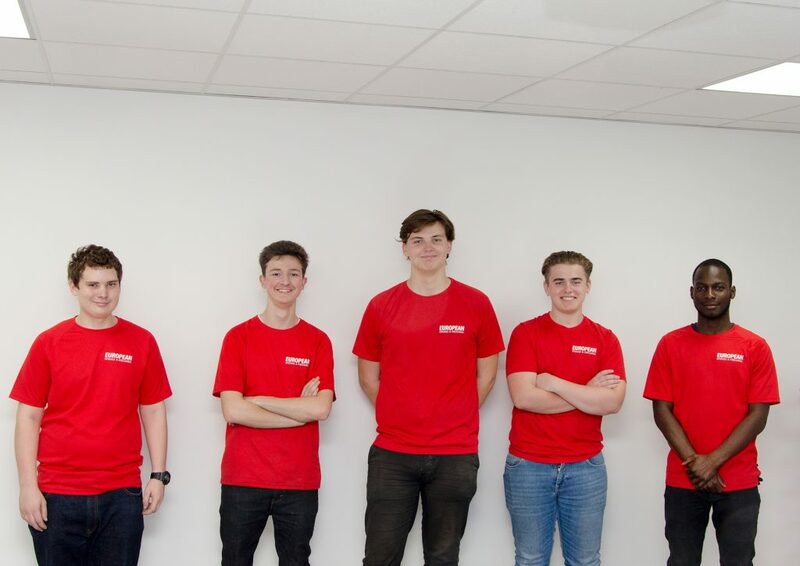 The initiative also tapped into children’s competitive side by implementing a number of challenges, competitions and projects through partners such as LEGO Education and the Royal Navy – these activities further highlighted the impact engineers have on a global scale. One particular area the engineering industry as a whole needs to dramatically improve upon is the number of women who are taking up a career in the field. The UK has long had a significantly lower percentage of female engineering professionals than any other country in Europe, with a study released in 2017 stating that only 15.1% of our engineering undergraduates were women. To put that figure into perspective, India had double that number, with just over 30% of engineering undergraduates being female. In Europe, countries like Cyprus and Bulgaria set trends for women working in engineering roles, with the sector in each country boasting a 30% female workforce. Whilst strides have been made in ensuring that children are inspired to pursue a career in engineering, more must be done to ensure the UK isn’t left behind when it comes to bringing through highly skilled female engineers. We simply cannot wait 10-15 years for a new batch of inspired women to come through and pursue a career in engineering; things must be done now, as it is expected that the UK will need an extra 186,000 new engineers each year until 2024 to work on an abundance of new projects throughout the country. Encouraging more women to pursue a career in engineering in the coming months could play a vital role in ensuring that a significant number of those roles are filled over the next few years. Along with bridging the employment gap, it’s also worth noting that recent studies suggest that companies who have a diverse workforce are 15% more likely to perform better. Working within a diverse company can have some huge benefits, from increased innovation to significantly improved staff morale. Figures also suggest that 85% of talent and corporate diversity leaders concur that a diverse place of work encourages differing views and perspectives on key decisions, which in turn leads to the generation and refinement of ideas. Whilst strides were no doubt made in 2018, the UK engineering industry still has some way to go to ensure its future as one of the very best in the world. Here at European Springs, we are proud to have contributed to addressing the skills gap by introducing our apprenticeship scheme last year, as well as continuing to invest in developing our staff in-house. Furthermore, our commitment to our customers has driven us to invest further in our operations to ensure we are in a position to continually meet our ever-growing customer demand. As a bespoke pressings and spring manufacturer, we realise the importance of keeping up-to-date with the very latest technology and work processes to guarantee an unrivalled service for our valued customers.